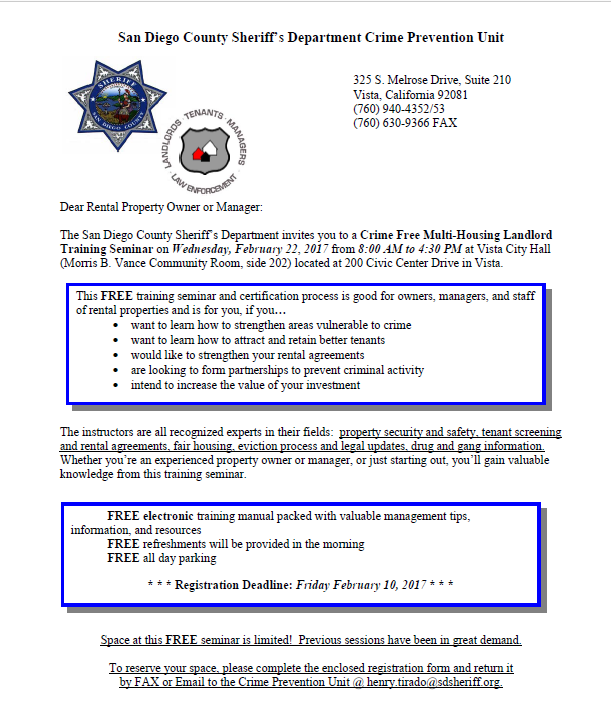 The San Diego Sheriffs Department, is hosting a Crime Free Multi- Housing Training for apartment managers and owners. The Crime Free Multi- Housing program training is FREE! It’s encouraged for all Vista Apartment’s to become Crime Free Multi- Housing complexes. If you have any questions, please contact Crime Prevention Specialist at Vista Sheriff’s Dept.